DARPA's ENGAGE program seeks to develop interactive game-based technologies for pre-k through grade three students to inspire them to become future innovators by educating them in STEM skills. To get the target audience to play, these games must meet the highest standards for quality and entertainment. 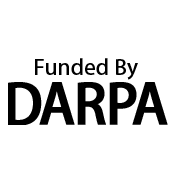 The goal is to create games that improve over time by analyzing play across a large population of anonymous users. As a result, ENGAGE hopes to not only produce valuable game-based teaching tools but to also provide insights into teaching techniques that can be applied to future products and classroom STEM learning. The ENGAGE finishes in 2015. Our most recent game is: PuppyBot Rescue. This game is designed to teach children ages 4-11 how to build and identify stable structures. In the game, players must build towers by manipulating a series of blocks in order to help a friendly alien creature get to its spaceship so it can return to home. Welcome to Beanstalk! This game focuses on teaching balance to the player, as they must plant flowers to counter balance the different bugs on the plank. The design is based heavily on a research paper done by Carnegie Mellon University professor Robert Siegler on balance experiments. This game is designed to teach children ages 5-9. This game focuses on teaching balance to the player, as they help fellow space travelers regain control of their ship by fixing circuits and avoiding danger. The design is based heavily on a research paper done by Carnegie Mellon University professor Robert Siegler on balance experiments. This game is designed to teach children ages 4-11. The game helps children understand time and Earth's rotation around the sun. 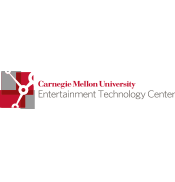 Carnegie Mellon's Entertainment Technology Center (ETC-Global) is a unique program that brings together students from a variety of academic backgrounds. Our graduates are among the most highly sought-after professionals in the interactive media industry. Â The ETC's mission is toÂ foster leadership in education and research that combines technology and fine arts to create new processes, tools, and vision for storytelling and entertainment. Tepper School of BusinessCollege of Fine Arts Carnegie Institute of Technology Software Engineering Institute, as well as the School of Computer Science. 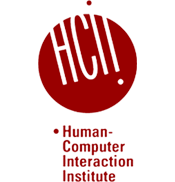 Collaborators and sponsors are from other universities in Pittsburgh and around the world, small startup companies, and multi-national corporations. DARPA™s mission is to maintain the technological superiority of the U.S. military and prevent technological surprise from harming our national security by sponsoring revolutionary, high-payoff research bridging the gap between fundamental discoveries and their military use. Over the years, DARPA has worked to enhance our national security by funding research and technology development that not only have improved our military capabilities but have changed the way we live. Since the very beginning, DARPA has been the place for people with innovative ideas that lead to groundbreaking discoveries.